Fierce Face Protection fleece lined bandanas keep all faces warm and protected from the outdoor elements including cold, wind, dust, bugs, sun, and other weather items. Perfect face protection for all outdoor activities. 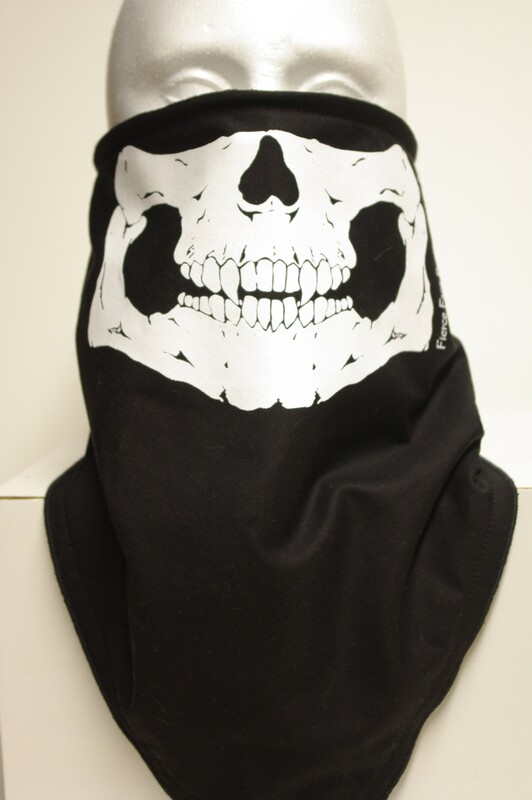 Fierce Face Protection lined bandana face scarves are designed to keep faces warm and protected. They are made in the USA. The triangular shape avoids bunching on the back of the neck. Velcro fasteners make the bandanas easy on and off and adjustable to most. The fleece and poly lining is warm and protective. They are machine washable and durable. Perfect face protection for all outdoor activities including skiing, snowboarding, snow mobiling, hiking, hunting, motorcycles, biking, fishing, shoveling, walking, and so much more. Backing colors compliment cover color. Recreational is mid weight fleece great for all occasions. Ultralight poly lining protects on warmer days. Heavyweight fleece is 300 series Polartec perfect on cold days. Polartec Windproof backing is guaranteed.